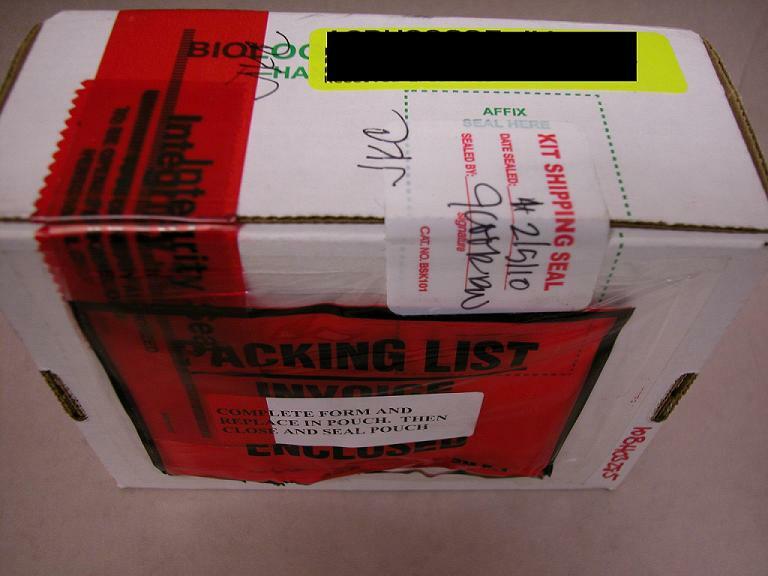 Evidence may be submitted to the Toxicology Discipline in person or by common carrier such as the US Postal Service. The Department distributes two types of biological specimen kits (antemortem and postmortem), each containing appropriate tubes, needles, seals, documentation, instructions and address labels. 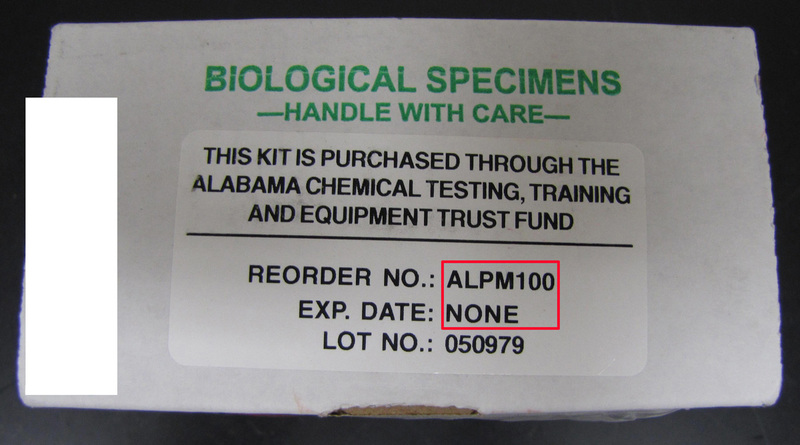 Each specimen should be individually labeled with the name of the subject/suspect, collector, times and dates as indicated on the container labels or seals. Each specimen should be individually sealed. Submission documentation (Toxicological Analysis Request Form DFS-59 - DUI , Toxicological Analysis Request Form DFS-59 - Postmortem) is in a pouch attached to each kit and should be sufficiently completed to allow the laboratory to determine the nature of the case and the most appropriate analyses to conduct. Completed documentation should be re-inserted into the pouch. 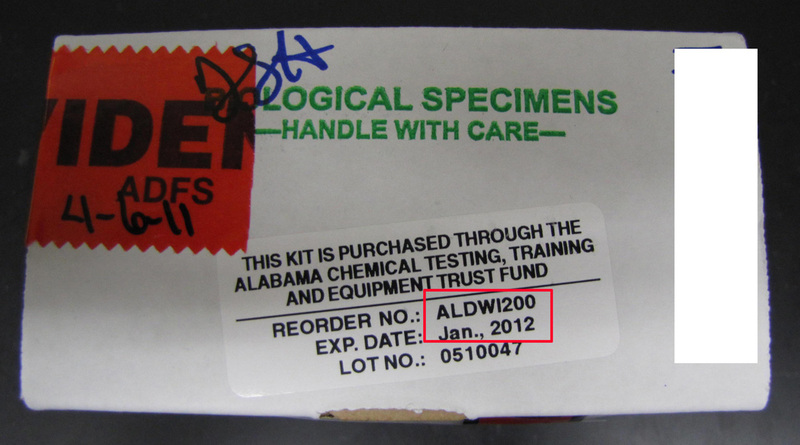 Kits should be sealed and initialed then submitted to the laboratory. By submitting specimens, the investigating agency acknowledges that the Toxicology Discipline will conduct examinations at its discretion pursuant to current policies, procedures and capabilities and the nature of the case as determined from information provided by the submitter. The investigating agency further acknowledges that specimen volume, condition and relevance may limit the number or types of examinations which may be conducted and that whereas the Toxicology Discipline and the Department will exercise all due diligence to preserve submitted materials, such are biological in nature and, therefore, perishable. 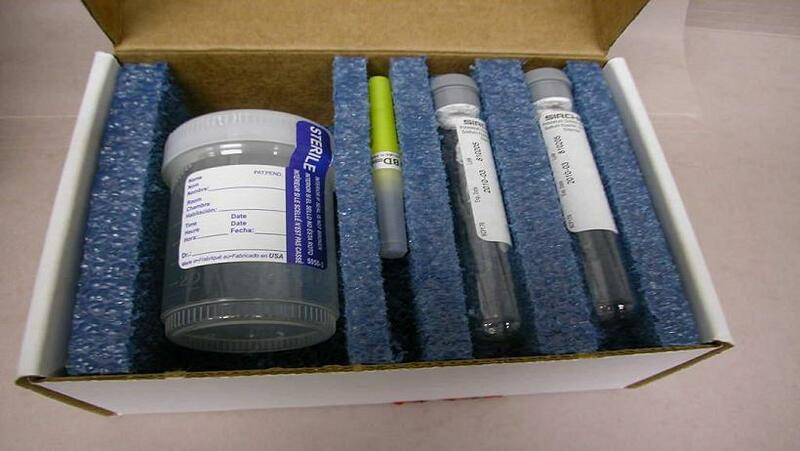 The antemortem kit is intended for collection of specimens from live subjects and is appropriate for submission of specimens in DUI investigations. 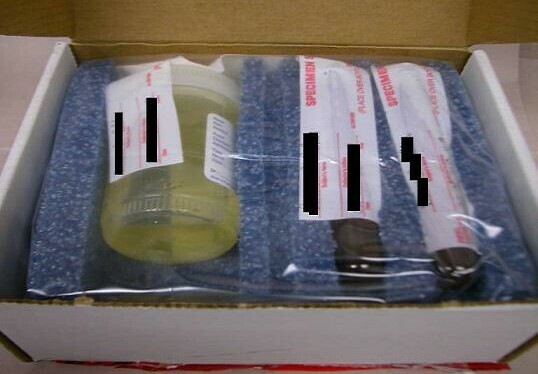 This kit contains two 10-mL gray-stopper blood collection tubes and one 100-mL plastic urine cup. The kit also contains a needle, alcohol-free cleansing wipes and seals. The tubes contain sodium fluoride preservative and potassium oxalate anticoagulant. Two completely-filled tubes are recommended for a complete scope of analyses. Urine collection is optional, but highly recommended, especially when gammahydroxybutyrate (GHB) is suspected or there is a delay of more than several hours in collecting the specimens. Antemortem (DUI) kits bear an expiration date which is intended to relate to the vacuum within the blood collection tubes. Use of expired tubes will not invalidate findings determined with these specimens; however, vacuum within the tubes may be reduced, which may reduce the volume of specimen collected and, accordingly, limit the scope of analyses which may be conducted. 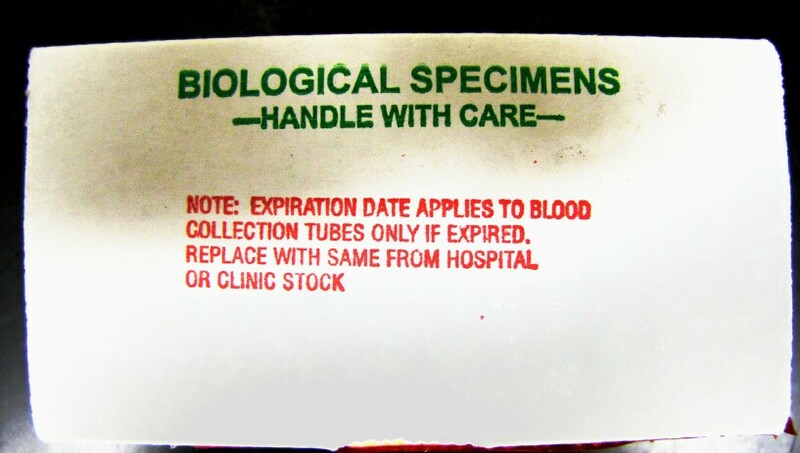 It is recommended that expired tubes be replaced with similar tubes from hospital stock. Kits are so marked. A postmortem kit is intended for Coroners for collection of specimens from deceased subjects. This kit contains two 30-mL screw-cap containers, one for blood and the other for urine. The kit also contains a collection needle and syringe and seals. 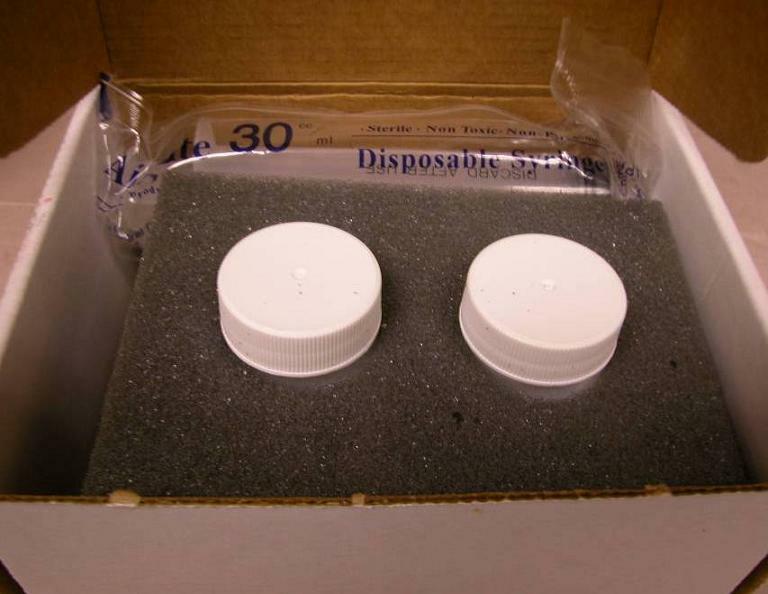 Both containers should be completely filled with the respective specimens for a complete scope of analyses. 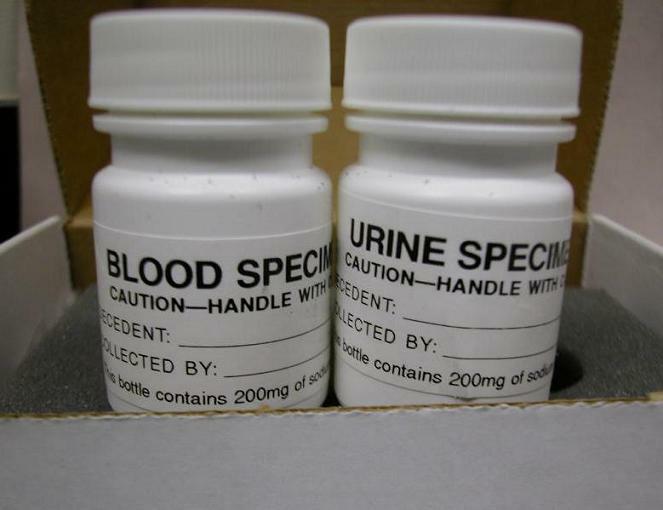 The specimens of choice for toxicology in a suspected DFSA case are urine and blood. It is recommended that a urine sample be collected from the victim if less than 120 hours have elapsed since the incident. If possible, one hundred (100) milliliters of urine should be collected in a specimen cup with the preservative sodium fluoride and stored refrigerated. Although most drugs will be undetectable in the blood more than 24 hours after ingestion, blood may prove useful in a DFSA case if collected less than 24 hours after the incident. At least 12 milliliters of blood should be obtained in a grey-top test tube containing the preservative sodium fluoride and the anticoagulant potassium oxalate. The blood should be stored refrigerated.